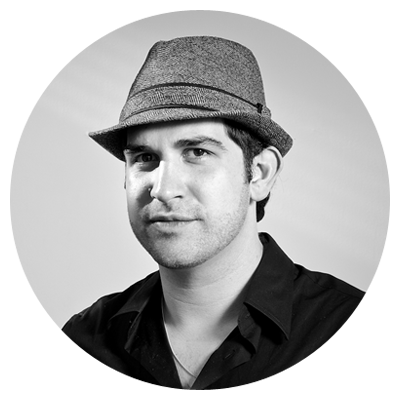 Dan Melnick is the Director of Operations at TurnStyle Music Group, a New York City-based booking agency that provides a live platform for emerging artists making original music. Dan grew up in Merrick, NY and Cheshire, CT and is an alumnus of Quinnipiac University and got his start in the music business a decade ago. He has worked with bands such as Collective Soul and Mink and managers like David Edwards (INXS) and Greg DeMammos (Moby). While in Connecticut he worked closely with 98.1 WQAQ and Connecticut’s Ultraradio.com. He is also a frequent guest speaker at NYU’s Tisch school. Dan co-founded TurnStyle in August 2008 alongside Brian Riccardi and is also part of the Brooklyn-based band Buy The Sky. Dan talked to me about what inspired him to start TurnStyle and the opportunities and tools his company offers to developing artists. He also shared some best practices for bands that want to build up a solid network of loyal fans and industry people in their home cities and beyond. Thanks for taking a few minutes to talk, Dan. How did you first get into the music business and what brought you to TurnStyle? I started out after college working with Moby’s manager and INXS’s manager, managing a band called Mink that never quite made it. That experience was really why I got interested in doing a grassroots-oriented business and how Brian Riccardi and I started doing work as TurnStyle Music Group: Mink was a band that was getting paid decently, but was not really putting the effort into doing everything that was required for them to succeed. About six-and-a-half years ago, Brian and I started booking at a club called Bar 169 on the Lower East Side in Manhattan. Then, I moved over to Uncle Mike’s, which is now closed, in Tribeca. And then we moved to National Underground, which is owned by Joey and Gavin DeGraw. And now we’ve expanded to Tammany Hall, Mercury Lounge, Brooklyn Bowl, The Delancey, RBar, Parkside Lounge and then also in some places in San Francisco as well. I know you’re a gatekeeper, as someone who books shows. What gets your attention when a band or artist is approaching you? For a company of our size, it’s pretty simple: The artist just has to be a solid musician. We’ll give most people a chance to play as long as they have a decent talent level. Then, we’ll see how they work professionally, which is ultimately most important to us. We’ll see how many ticket sales they make and their level of professionalism. For example, do they get drunk at the bar and abuse equipment? Do they do everything the way they should leading up to and on the night of a show? We provide musicians with tons of tools – I think more than most other event companies provide. We offer discount ticketing links and promo packs, newsletters and a lot more. We even make Facebook event pages for some musicians, because a lot of times, they aren’t even doing that for themselves. What are some of the most common mistakes you see artists make when promoting shows? When you’re first starting out, the most important thing to do is utilize your own personal network. If you can’t do that, you’re never going to go anywhere. The most successful musicians are typically the most successful people, meaning, they have a lot of friends, a good social network and are personable; they’re not irritating to be around. Artists who are nicer in life usually have a larger draw, because people tend to flock to people with that type of personality. From there, it becomes easy to network with people from other fan bases, outside an artist’s or band’s immediate network. But you need to have a base to launch from – people who are going to share your work and art with others. I would imagine you will get calls from out-of-town bands. Are there things they should be doing when their main fan base isn’t necessarily in New York or San Francisco? Booking from out of town is very difficult, especially when you are just starting out. For example, when you’re touring, if you’re going to New York City, it’s one thing if you’re from Upstate New York or New Hampshire. all bands and musicians should make sure they have their own city covered before they go out to others. If you go to another city and don’t have anyone there to come out and see you or don’t know anyone there, it doesn’t do you any good to travel and is a waste of money and time. The best thing to do if you’re coming from out of town is have contact with another band that has a fan base in that city and share a bill. Then, you can have them share a bill when they come to your city. For example, let’s say a band is coming from Philadelphia. They don’t necessarily have a fan base in New York City, but that band should only be coming up from Philadelphia if they know another band or have some sort of network already in place in New York. If you go and blindly play in a city, not only are you going to piss off the promoters at the clubs you’re playing, who you are trying to establish a relationship with, but you’re going to end up playing in front of almost no one. My personal opinion is, if you’re in a city like New York or Philadelphia, do your thing in your home city and make yourself the biggest band you can possibly be there. By doing that, you will automatically end up networking with bands in other cities. Other than playing shows every six, to eight weeks – or whatever your personal fan base and network and beyond will bear – what are some strategies you can use to build up a reputation in your own city beyond having an act that people want to see? Obviously, some bands have a certain magic that makes friends tell their friends about it and share the music. It’s actually a ridiculously easy thing to do. And when I say, “easy,” I mean it’s comprehensively easy – not just a given for everyone. As an example, there’s a band we’re working with called King Holiday. I refer to them a lot, because they have really become professional musicians. They have a lot of label interest and a lot of people interested in being part of their project. They started out with us drawing ten people to small rooms. But the people in the band are passionate about the music they play. Every member of the band is invested in the project, which is a huge thing. If you’re in a band with five people, and only one person is doing the promotion, you’re not going to go anywhere. If you have five people in your band that all put the same level of work into promoting and marketing the band, the task will be a lot easier. King Holiday started out drawing ten people and then built up a network. The next show they played drew 20 and the one after that drew 50. And eventually we were able to book them at Mercury Lounge. Once they were in that larger room with more notoriety, they were able to really expand their fan base. Pretty soon we had them at Brooklyn Bowl. They played on Saturday night at Rockwood Music Hall during CMJ week this year and will be playing at the McKittrick Hotel for their Halloween party, which is a pretty big deal. When the members of King Holiday are not playing or practicing, they are out going to shows, meeting and talking to people who are interested in going out and seeing their band. And of course, talent wise, they are amazing. You have to have that base level of talent, but it’s not really the key, because if you don’t utilize your networks and the opportunities around you, you won’t go anywhere. I agree with that. I tend to avoid saying, “Go be talented” to any of the musicians I work with. And you’re also a musician yourself. I am. At this point in my musical career, it’s more of a hobby of mine. I’m not looking for my music to take off or to go on tour. For a 23-year old, living in a van and traveling across the country sounds appealing. But at my age, I would much rather have a business in my hometown. You’ve been involved in the business side of the industry. Do you have any specific advice for musicians who want to build their draw? Being active on Twitter and Facebook is probably the most important thing you can do as a musician. When you meet someone new, you want to be able to add them to your network, and the only way to do that physically is to connect with them on those platforms. Mailing lists are also critical. When bands play, they often use their mailing lists, but I don’t think they don’t utilize them correctly. If you go out and play and get 50 new email addresses, I wouldn’t necessarily add them to a newsletter mailing list. Instead, email those people personally and invite them to “like” your Facebook page and follow you on Twitter. Building that social media following is really important. As a promoter, if I see a band has 500 “like”s, I know what they will give me in terms of ticket sales. If I see a band with 5,000 “like”s, I know they will bring in more of a draw, because they already have a built-in fan base. I would imagine you would also know when bands are wagging the dog. For example, if a band has 15,000 “like”s and not a single comment in the past three months, you can tell there’s something strange going on. That’s very true. Also, being able to see what shows a band has been playing is important for a promoter. As a band, you want to make sure you are playing solid shows. For example, there’s no reason to play Alphabet Lounge on a Tuesday or Rockwood Music Hall on a Sunday at 5 p.m. Those shows won’t do anything for you. Playing these off-night gigs or gigs at terrible clubs is a waste of time. Each of the gigs you book should be a door to the next larger gig. If nobody is going to be at your show, you might as well just invite a few people to watch you rehearse. Exactly. And, honestly, bands that draw three people on a Monday could easily draw 100 on a Saturday. It just depends on the way they are networking. On another note, a lot of bands overbook their markets. They play tons of shows in their home city just to get out and play, and I know it can really piss off promoters. As an artist, how do you gauge how many shows are too many? Over playing is the worst possible thing you can do to yourself as a developing artist. It’s not 1996, so someone from Atlantic Records is not going to be at CBGBs coming to check you out. Before the Internet, people actually had to go out to see bands play. And there weren’t 400 venues. On any given night in New York City, you have at least 100 shows going on, and having anyone from the industry at one of your shows depends on the venue. If you want to get into one of those venues that are part of that industry network, you need to earn it or build a relationship with someone through network that can get you the gig. Musicians invest way too much time in over playing and their image. In my opinion, the formula for success is very obvious, but it’s not easy to execute. It takes a lot of effort and dedication. Of course, you also need a product people like and want. The hustle, plus the talent equals success. I’ve seen it happen. And there are a lot of mistakes artists make. What I do as a promoter and through TurnStyle is say, “Let’s start a business relationship – a client/booker relationship. If you do a good job, I’ll give you a better opportunity.” That’s what we are able to provide to bands. I think a lot of musicians aren’t always able to get that with a lot of other bookers. And, of course there are a lot of other promoters out there that I really do respect that do a great job. For example, Howie Schnee has been providing musicians with a lot of opportunities for years over at Creative Entertainment Group. Actually, TurnStyle does not book off nights. I would say 98-percent of our shows are Thursday through Saturday. There have been situations where I’ve turned venues down who asked if I would like to take a Tuesday night. I typically start with booking a band on a Thursday, then move onto a Friday or a Saturday. Well, and in my experience, people no longer go to see Phish; they go to see their friends that go to see Phish. So, when you are promoting your band in the current music market, you are acting like a dating service: You sell your audience members to other audience members. I agree. And, of course, my biggest goal with TurnStyle is to give musicians useful tools and help them really wrap their heads around exactly why they are playing music. To learn more about the work Dan Melnick does with artists, visit the TurnStyle Music Group website. You can also check out his band, Buy The Sky on Facebook.